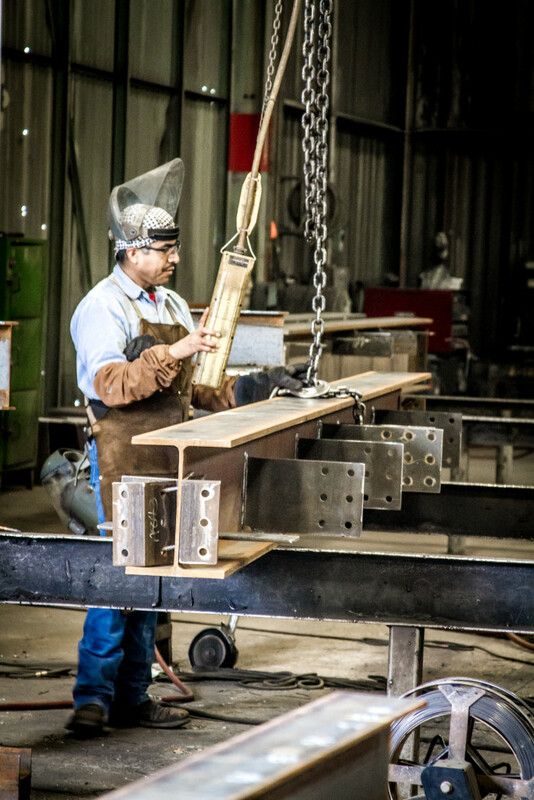 Safety is a top priority at Central Texas Iron Works. Working with structural steel is one of the most dangerous jobs in America, but the CTIW team refuses to accept injuries as commonplace in the industry. As a team, CTIW employees have worked 13 years and more than 5 million hours (and counting) without a lost time injury. CTIW management believes they have the responsibility to employees and their families to have a successful safety program. Also, it is important for the overall productivity of the company. An injury to an employee can be costly and inhibit job performance. A successful safety program starts with a foundation in Occupational Safety and Health Administration (OSHA) compliance. However, to establish total team buy-in, a successful safety program must also deliver safety awareness and maintain momentum toward safety achievements. The benefits of a successful safety program save medical, indemnity and worker’s compensation expenses. More importantly it communicates to employees and their families how truly important their safety is. The rewards of a successful safety program are immense but saving the lives and preventing the injury of CTIW employees is a reward that has no boundaries.